Very simple and straightforward to set up. Easily the best deal you could get for a real 4K projector. 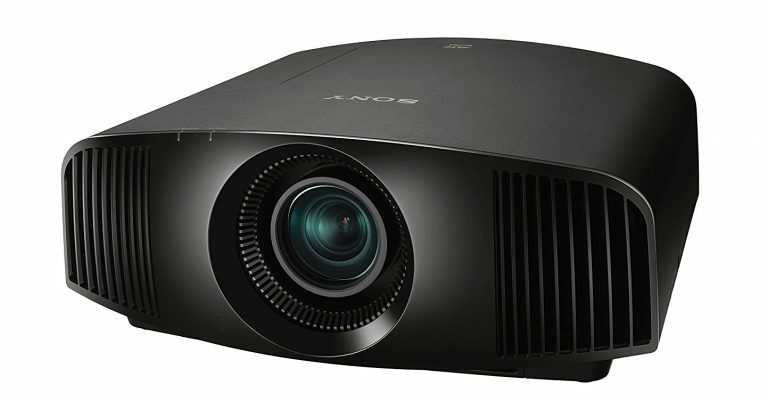 Summary: If you’re looking for a true 4k projector manufactured by a notable brand and at a price that is cheaper than its competitors, you should look no further than the Sony VPL-VW285ES. I have thought about writing this Sony VPL- VW285ES review because a lot of fellow movie-watching lovers could find it very helpful. Older projectors may not have the same quality, thus not showing the movie in its full glory. As such, a movie night with your friends may not be as good as you expected it to be, leading to disappointment. So, knowing the feeling, I wanted to save other people the trouble. Once Sony released the Sony VPL- VW285ES Projector, all of my worries were as good as gone. 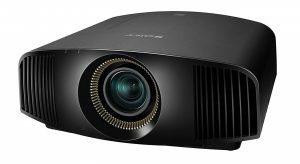 It wasn’t a surprise that Sony managed to keep leading the industry, making 4k projectors available at even lower costs. 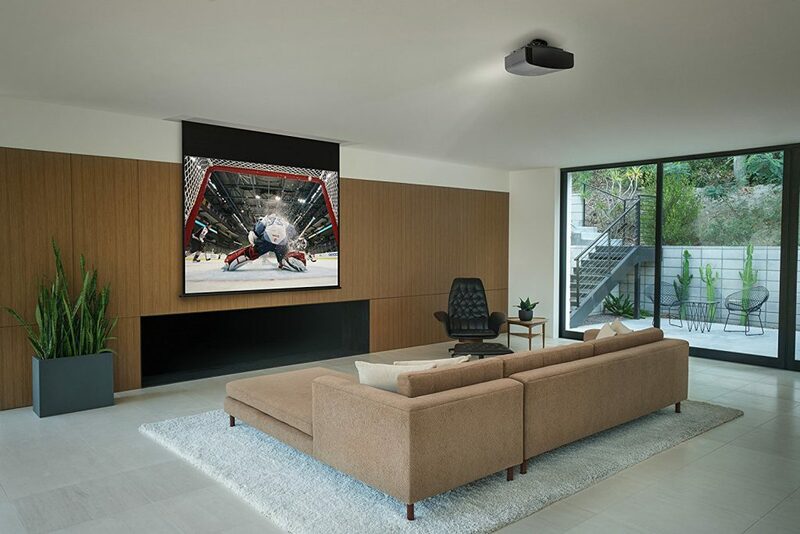 This projector was created with the regular home user in mind, meaning you would be able to comfortably use it at home for a theatre-like experience. Forget about the TV that is too far away or sitting in front of the PC until your back pains become insupportable! This projector model will let you have the cinema experience while at home, and it will be hard to resist it. This review will show you why purchasing this unit will be a great investment. This is the third projector I’ve owned and by far the best. I have a 130” 16×9 acoustically transparent screen that I’m sitting eleven feet from. The projector is ceiling-mounted and placed around 14‘8“ away from the screen. The VW285ES does a great job displaying 1080P, 4K, and 4K HDR. It has really nice colors reaching around 65% of REC 2020 and pretty good black levels. Who Should Consider this Projector? 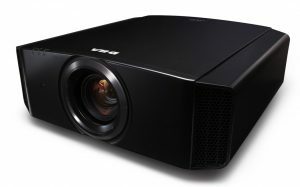 People who would derive the most value from this projector are movie enthusiasts, especially those who don’t like the idea of spending more than $5,000 on a projector. Movie-watchers who are tired of experiencing the movies in low quality will fall in love with the 4k resolution, thus seeing it in all of its glory. In my opinion, anyone who has tried this resolution, compared with the picture quality, contrast and mode diversity will love using it when watching movies. In terms of performance, the whole unit is all about customization. The projector is a 3D one that has a dedicated RF emitter, but you don’t need 3D glasses for it. You can still share the 3D content by wish, and the feature can be really impressive if you value the quality of videos. In terms of colour management, the system is pretty good, and it shows the world much better than you’d expect. In addition, it has a lot of unique features that could impress you. For instance, the bright cinema, reference, and bright TV modes will allow you to experience some impressive visuals. The image quality is very high, and if you want to see everything in detail, the picture will be very sharp and detailed. There’s not too much digital noise either. The movies you’ll watch will look very clean. I think that people who would benefit the most from this unit are those who seek an amazing home cinema experience and want to see every pixel in detail. If you want a movie night with your family or friends, it will work great even in the living room, and the picture would look amazing even in well-lit rooms. However, a darker room will help you get the best of this product, thus experiencing the same cinema quality in your own home. At the same time, I do not recommend this unit to gamers who seek 4K HDR 60p gaming. You should be aware by now that there may be some banding in some sources. Considering the projector has an expected input lag of 55ms with the source, this model is not the best choice for 4K HDR 60p gaming regardless. Other options need to be considered if you want this and if you are concerned with quick response and minimum input lag. You should opt for the game mode 1080p option at 36ms in that case. Just watched the Masters in 4K I could have sold tickets. The little extra for this projector was worth every dollar. The features are the first things you should take into consideration before you make the decision and purchase this unit. So, let’s see what this unit has to offer. Sony claims that the lamp life of the VPL-VW285ES is of up to 6,000 hours. But, of course, it all comes down to how you use the projector, and how much you can tolerate the inevitable dimming as time goes by. Basically, you would want all the brightness there is, for as long as the product is able to provide you with it. Therefore, the dimming could be a problem for the HDR lights. Anyway, you will be able to use the projector for a long time, even if you binge watch multiple TV shows every night. The unit comes with a remote control, so you can easily control it from afar. It is pretty large, so the buttons are well-spaced, allowing you to press the buttons without accidentally pressing the nearby ones. In addition, many of the buttons give you access to some of the most used features. Also, if you’re looking forward to the 3D feature, you’re lucky, because the remote also has the 3D feature listed. Although glasses are not included in the same package, you will be able to get the TDG-BT500A ones from Sony. Some third-party glasses that conform to the full HD 3D standard should also work with this unit. Most likely, one of the amazing features that caught your eye was the 4k resolution. This model is a three-chip SXRD design, and its imaging chips have a high resolution of 4096 x 2160. Just like all 4k projectors, it doesn’t come with the processing of Dolby Vision high dynamic range content. Still, it comes with HLG and HDR10 processing. Sometimes, the HLG is used for streaming, and even for 4k broadcasts. What you should know is that the 285ES doesn’t have any type of iris, be it dynamic or fixed. Maybe that is what decreased the price of the 285ES compared to the Sony VPL-VW385ES – because the latter has a selectable dynamic iris. The model we reviewed comes with powered lens focus, shift, and zoom. Regarding the picture quality, I think it’s not a surprise that Sony doesn’t disappoint with this model either. Two of the best features when it comes to 285ES’s picture quality are, of course, the sharp image and the solid contrast. Basically, it has the ability to show even the tiniest details, such as fine hair and fabric texture. Therefore, you will be able to see every detail there is on the screen, enjoying the movie at its best quality. The brightness this projector comes with is of 1500 lumens. You may think that it’s not too much, but the video optimized mode puts out about 1300 lumens. As such, despite its low maximum lumen rating, the VW285ES is great in delivering the right amount of lumen spec once it’s calibrated for the optimum video. The contrast is one of the features that impact the image quality. The one that our model comes with has 4 options, which are off, low, medium and high. As a result, the control has a subtle impact on SDR sources, as it creates a slight brightening effect on highlights when you switch from off to high. The biggest influence is on the HDR picture, the effect being a boost in highlights and a brightening of the picture as you switch from low to high. It can be a very useful feature when there are unpredictable output levels in HDR discs, as it compensates for those. It has 2 HDMI inputs with 13.5 GHz speed that is just what you need for any practical purpose. Although it lacks a dynamic iris, the black level performance is really good. You may be surprised by this aspect. Its resolution quality is hard to beat, as it’s a 4096 x 2160 4K resolution. The color of the picture, as well as its quality, is very good. It supports 4K with HDR and BT.2020 color, as well as HLG standard for streaming 4K. Despite having 1500 lumens, it provides great quality even after calibration. Therefore, it has enough brightness to work well even in non-theater rooms and media rooms as long as there is enough light control and you have a suitable screen. It has great CFI for smooth motion, which makes it amazing for TV and sports. The image is very nice and sharp, thus you will be able to see even smaller details in high quality, including hair and fabric texture. The flexibility placement is great, respectively a 2.06:1 zoom lens and a lot of horizontal and vertical lens shift. Sony did a great job of providing a bright picture with no dimness. The warranty for 3 years, so if any issue occurs in the meantime, the costs are covered. The image looks great even when the lights are on. The remote control is very well-made and easy to use, as it’s big and the buttons are easy to press. Moreover, it contains most of the frequently used features. Unlike some of its competitors, it is pretty quiet, even at its full power. 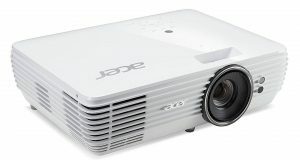 It is cheaper than other projectors with 4K resolution. It is easy to set up, so you won’t encounter any difficulties before being able to use the unit. It could use a third HDMI input. Although the HDMI is 13.5 GHz, 18 is considered the better alternative, because it’s needed for capabilities like best sub-sampling. It has no lens memory. It doesn’t work for gamers who want 4K HDR 60p gaming. Hard-core gamers may be disappointed with this projector. While the black level performance is good, a dynamic iris would improve it much more. If you are still not convinced after reading all the qualities of this Sony projector, there is another option out there that you could consider. This is the Optoma UHD65 projector. It is yet another projector that is very easy to set up, as it allows you to easily align it to a screen. It could provide you with the same home cinema experience like the Sony model. It is bright but doesn’t come with noise. It has 2,200 lumens, and while not as bright, it can be used in the daytime as well. However, the curtains have to be half-open. It has a variety of picture presets, such as HDR, Game, Vivid, Reference, Bright and Cinema. Each of them can give you a better experience with the unit. Moreover, the image it provides is very detailed, thus it will look very clean, allowing you to watch movies in superior quality. Overall, the UHD65 is a very enjoyable projector that gives good pictures in both blackout and ambient light conditions. Its 4K resolution makes it what it is, so you should give it a look if you think Sony is not the best option for you. When you want to have a wonderful movie night, the quality of the image can greatly improve the experience. With what you’ve read in this review, you are now aware of the many qualities that the unit has. It comes with 4K resolution and is able to show even the smallest details, but it can also be used during daytime. Moreover, it operates quietly, the image will look sharp and clean, and it has a remote that allows you to easily use some of the best features. All in all, considering this projector is cheaper than other competitors, it can give you unforgettable movie nights with your loved ones. I hope that this Sony VPL-VW285ES review was of help to you, and you are able to determine if the device is what you look for.